Product prices and availability are accurate as of 2018-12-24 15:28:19 EST and are subject to change. Any price and availability information displayed on http://www.amazon.com/ at the time of purchase will apply to the purchase of this product. 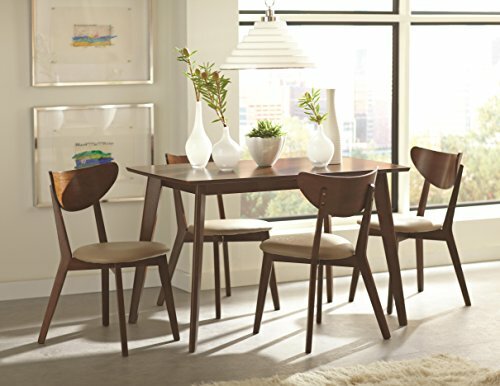 With a charming retro feel, the Kersey collection offers a solid wood table and comfortable dining chairs. 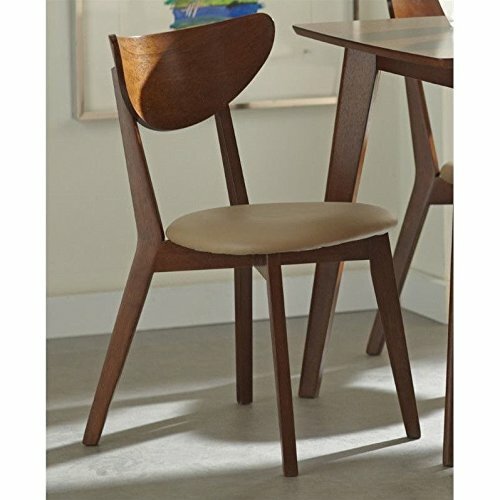 The chairs have slightly angled legs and deep curved backs, adding comfort and style to the collection. 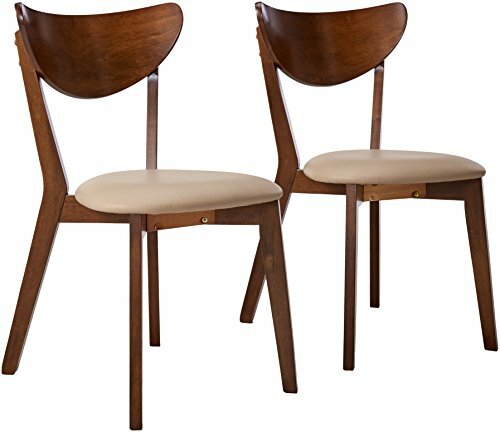 With an upholstered seat in tan fabric and legs and back finished in a warm chestnut, these chairs bring genuine style to your living space. 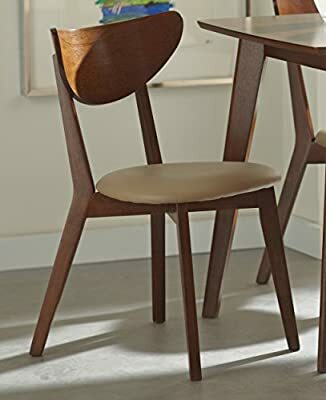 Shamel Furniture is a participant in the Amazon Services LLC Associates Program, an affiliate advertising program designed to provide a means for sites to earn advertising fees by advertising and linking to Amazon.com, Endless.com, MYHABIT.com, SmallParts.com, or AmazonWireless.com. Amazon, the Amazon logo, AmazonSupply, and the AmazonSupply logo are trademarks of Amazon.com, Inc. or its affiliates.